We all know that website creation requires so much hard work and you don’t want that to get spoiled! The pieces of content on your website are works of art, a labor of love that may have taken a long time to produce. For that reason, you want to make sure that you protect your website as much as possible, not just from hackers but also from damage and loss of data. Here are some effective ways to protect the site you love. One of the common ways that websites are hacked is through not using effective passwords or usernames. 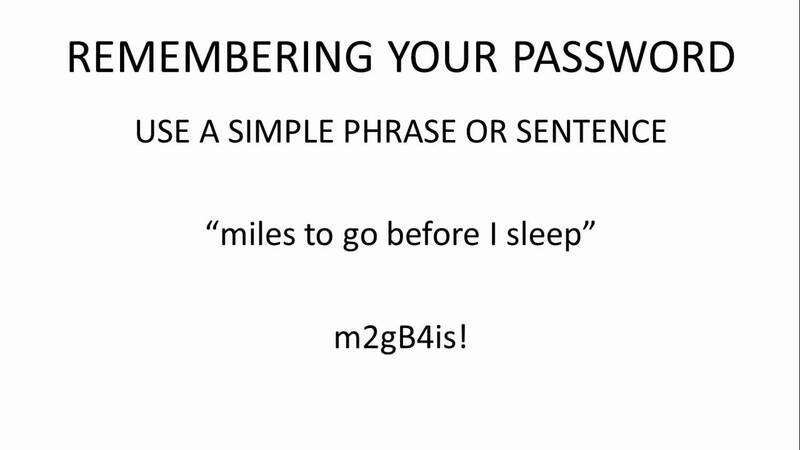 It can be easy to choose a password that is easy to remember, especially if you don’t want to have to write it down anywhere. However, simple passwords can be easily guessed by hackers and others looking to get into your website. You need to think about your password and try to make it as difficult as possible to guess. Ideally, you want it to contain both letters as numbers along with punctuation characters as well. Another rule to adhere to is not to use anything that is related to your site or your personal data. Your website or blog will be linked in some way to your computer. For that reason, if your computer gets a virus, the chances are that your website might also get the virus. To try and protect both, you need to ensure that you have strong anti-virus software that can scan all your incoming data. If you do think that you have a virus, you need to scan your computer and also scan your documents related to your website. Once you have done that, you can then ensure that your website is safe. Because you have made such an effort for the content you have on your site, you should be looking to protect it as much as you can. That means ensuring you backup your data as often as possible so that any issues can be quickly resolved. It also means that if you lose your data, you haven’t lost all your hard work. If you haven’t managed to backup your disks or your website, then you need to think about other alternatives. update your website or create new content, back up your data. As well as your own anti-virus software, there are also often plug-ins on your website that can add another level of security to your site. Some of them will prevent unwanted comments that can be considered spam, while others are designed to stop viruses from getting access to the backend of the site. Often these add-ons are free to download and use, so it is worth giving them a try. There are many ways to protect your website and the data it contains. All you need is to make sure you have the protection you need. How Does GA Collects Data From Mobile Apps? The scope of search engine optimization as a career option is in great demand. SEO is a good career choice for people who are interested to make a career in the field of digital marketing. You should be good at critical thinking. 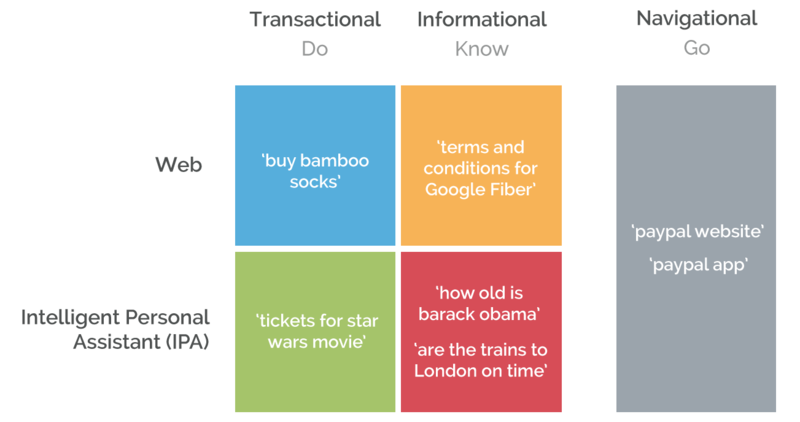 An SEO should have an analytical mind and must use data in their decision-making process. Your English communication skills should be good because most of your SEO clients will communicate in English. A creative mind is extremely necessary because every SEO strategy is different and you need to propose a unique SEO strategy for each of your client. Patience is a key skill that every SEO must have. Getting good results from SEO campaigns takes both time and effort. SEO professionals make recommendations related to page design and site speed. Hence, your technical and programming skills should be good. You should be good at networking with others because SEO needs to constantly generate good backlinks for their client’s site as most of these links are acquired by networking with other webmasters. You should have a zeal to acquire as much knowledge in your field as possible. The field of internet marketing is changing constantly and Google updates it’s search ranking algorithm almost every day so you need to be sharp in learning about all such changes that are happening in the internet landscape. Although there are no strict essentials of acquiring a regular degree to become an SEO, it always helps if you are a graduate. Online SEO certification from Distilled University. Bachelor’s degree in marketing from Maryville University. SEO Crash Course From Hubspot. You can complete any undergraduate course from any stream but I would strongly recommend you to complete a postgraduate course like Masters in Computer Application or Post Graduate Diploma in Computer Science. You can easily generate a starting salary of thousands of dollars each month as a newbie and this can increase at an annual rate of up to 26%. Becoming an SEO expert is purely based on choice. If you are really interested in making a career in SEO then you must follow the essentials mentioned in this guide. Ubersuggest - Neil Patel’s Free Keyword Research Tool - How to Use it? Ubersuggest is a free keyword overview and suggestion tool that fetches data directly from Google Keyword Planner and Google suggest. The tool shows search volume and CPC competition for the extracted keyword suggestions. It is one of the top keyword research tools that you can use to generate more keyword ideas for your business. Whether your goal is to get the best keywords for your SEO campaign or fine-tune your keyword list for your next PPC campaign Ubersuggest helps you with finding and researching relevant keywords, identify their monthly searches capacity and also determine how difficult the keyword is to outrank (SEO) or outperform (PPC). Moreover, Ubersuggest also lets you see what your competitors are doing in relations to a specific keyword (are they ranking organically or doing PPC?). Simply enter your main money keyword and the tool starts suggesting more keyword ideas (both head and long tail) in a matter of seconds! Ubersuggest is free to use unlike Moz, Ahrefs, Majestic, Semrush, etc? Do you need any more reasons than that? Well, the user interface is damn easy! I prefer using this tool instead of Keyword Planner because it is so simple to use. It fetches info from Google Analytics, Search Console and Google Suggest without the need to log in. It is super fast, beautiful and intuitive and the user interface is sleek and easy to understand. You can create filters within search results. You can use the negative keyword option to exclude phrases you don’t want to cover in your keywords selection. It displays complete data related to your competitors like who else ranks for your selected keywords? WIth comprehensive Competitors intelligence, you can determine whether your competitors are going for an SEO or PPC approach on specific keywords? Ubersuggest was recently acquired by blogger and influencer, Neil Patel in Feb 2017. After the acquisition, the updated tool was tested on Producthunt and then it was made live on Neilpatel.com. Now, the question that most of the SEO’s must be thinking is- why did Neil acquired it? Do we have to pay money to use the the tool? Well, the answer is - the tool will remain FREE and Neil said “My goal is to make all SEO and keyword data for free... even in a crazier way than this.” So, stay tuned for more surprises. I will take an example and help you understand how this tool works. Suppose I want to research keywords for my online bakery shop. I want to find keywords related to cakes that have purchase intent in them. My main keyword is “buy chocolate cakes” and the location of my business is “Boston”. I visit Ubersuggest and enter the keyword “buy chocolate cake boston”. Now, I will leave out keywords that are not related to my main business in the negative keywords section located in the left side of the tool. Now, the result that I have is super useful and relevant for my bakery business in Boston. I can export the entire list as CSV file or copy it to another sheet as per my convenience with the help of the options located below the search results. Here is a quick video demo of how Ubersuggest works? Ubersuggest is my favorite SEO keyword research tool simply because it’s super fast, easy and free to use. An SEO friendly website is the biggest asset for a brand. With the help of your website, you can bring in lots of relevant organic traffic and leads. What does it takes to build an awesome website? I have made it easier for you to build one by listing 13 essentials. Choose any website builder like Hostinger.com that will help you to create SEO friendly websites. The biggest advantage that this tool offers is an easy drag and drop interface where anyone can make a website without any coding skills. The templates offered are mobile optimized and responsive. You can easily add the required meta tags and build an SEO friendly URL structure that helps to create a website that is fast, optimized and SSL inclusive. Speed is the one of the most important ranking factors for Google and accelerated mobile pages will help you to dominate this factor. AMP is a lightweight version of your HTML page that loads faster and improves the overall user experience. Once you have the page ready, test your AMP pages with the help of AMP validator. With mobile searches surpassing than that of desktop, it is more than necessary to optimize your site for mobile. Take the mobile friendly test with the help of this tool and Google will provide suggestions to improve the mobile friendliness of your site. Usage of keywords in the title tag still holds importance. Not many SEOs will agree to this but I still feel this is important to improve CTR in the search results. Use the above formula to create title tags and also use the keyword in the description tag accordingly. An optimized title and description tag is the base of a solid SEO strategy. Use keywords in URLs but do not overuse them. For example, if your page is about dog food then create a URL structure like “domain.com/dog-food/”. For any website, navigation plays an extremely important role. Navigation should follow an organized and logical path as displayed in the below image. Use “breadcrumb lists” and use the breadcrumb structured data markup for displaying the URL structure. Adopting this approach is both user friendly and search engine friendly. Below is an example of Breadcrumb navigation. Review your robots.txt file and ensure that both googlebot and googlebot mobile can crawl your site. Leaving the pages that you don’t want to index like information related to users login id, every other important page that can send traffic to your site should be crawlable. Moreover, don't let your internal search result pages be crawled by Google as people don’t like to visit another search results page from Google’s search results page. Do not allowing URLs created as a result of proxy services to be crawled. In order to improve the CTR of your site in the search results, add Schema Markup. You can easily create the required Schema Markup on your site with the help of Structured Data Markup Helper. Once, you have these ready, test the markup with the help of Structured Data Testing Tool. In order to help the users from getting distracted due to broken links, use custom 404 pages that guides the user to take specific actions. A custom 404 is important because it tells and guide the visitors clearly that the page they're looking for can't be found. Also, do not allow Google to index your 404 page. In order to prevent 404 pages from being indexed by Google and other search engines, make sure that your web server returns an actual 404 HTTP status code when a missing page is requested. Content plays an extremely important role in making a website get ranked in the search results. Ensure that you have relevant and user friendly content in your site. Every content should be created keeping the users in mind. The information provided should be beneficial and must provide a direct answer to the user query. Have an impressive internal linking structure and follow Wikipedia in this regard. Always use contextual links as this will allow the PageRank to properly flow to the inner pages. If you are requesting users to leave comment in your site then combat comment links by using nofollow attribute. Moreover, create proper sitemaps that will help both search engines and users to crawl your site effectively. Here is a guide to build and submit sitemaps to Google. All the images that you use in your site should have an alt tag and title tag. Having relevant and accurate alt tags helps the search engines to understand the contents of the image because search engine bots are programs and they can’t see an image. Use alt text that are short, but descriptive. Use commonly supported filetypes that most browsers support like JPEG, GIF, PNG, BMP and WebP image formats. Once you have your site up and running, add it to Webmasters Console and Analytics. Google will automatically provide suggestions to fix issues that it might have detected on your site. Here is how you can add a site to Search Console. Here is how you can add a site in Google Analytics.